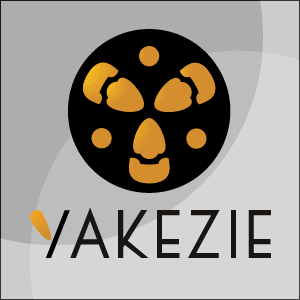 While there are some Yakezie members that started financial websites to talk about good money habits and become a resource for readers, I was not in that group. I was (and still am) more about the whole “On the ground” portion of the finances, as I’m still struggling forming good habits and getting out of debt. Some started out with good financial habits, and I started out my adult life ignoring the good financial habits that I was taught. I guess I’m one of the people that always has to learn the hard way. Since I was always in debt but reading about others who were able to right the ship, my habits have gotten a lot better. All of the sites that I had read stressed cash flow (just to be clear, cash flow is what is left over after you subtract your necessary expenses and bills from your income), and for a while I couldn’t figure out why. I had enough to pay my bills with some left over, so what was the big deal? Sure, you’d have more cash to do stuff with, but what difference did that make? After I started earning money and had finished school, I realized that all that extra cash could be used to pay down debt – which is something that I really liked. With a lot of focus and a lot of hard work (and a break from mother nature), I was able to reduce my debt load by half, along with doubling my income in that same time. Now, I’ve got a lot more cash than I need to pay my bills, and I understand the importance of cash flow. Here’s how it helped me. If you follow along on my blog or my twitter account, you know that I was all over the country this year. I had weddings to go to, bachelor parties to go to, I took a trip to Alaska and went to the financial bloggers conference. I went to Iowa, Missouri, Alaska, Virginia, West Virginia, Colorado and Illinois. Obviously, I didn’t have to go on all of these trips, but I really wanted to see some of these new places. Of course, I also wanted to support my friends during one of the happiest days of their lives at the weddings as well. Both of those made it very tough to say no – so I said yes. Unfortunately, this kind of put my debt repayment on hold while I traveled, purchased flights and other things, attended bachelor parties and generally had a good time. Yet I was able to do all of these things because I had increased my cash flow dramatically when paying down debt. I was able to pay for all of these trips with cash, which is something that I would never have been able to do before I expanded my cash flow. I would then have been left with two options: say no, or go deeper into debt – neither of which I would have been too keen on. Getting out of debt, increasing your cash flow and saving more aren’t pie-in-the-sky things that only some people can do. Sacrificing for a while allowed me to be there for my friends and take a great trip to Alaska, neither of which I would have been able to do otherwise. Use your finances as a way to pay for what you really value, and make this even easier by keeping your other expenses low. Even though you’ll still be spending money, you won’t have to worry about where the money is coming from, and you can’t pay for peace of mind like that. Readers: Do you believe that having higher cash flow will help out in life? Do you save for a lot of the trips you take, or do you just travel with low expenses and take the cost out of your cash flow? Blogger from Wyoming interested in sustainability in the environment, health, finances and self-reliance. Cash flow is definitely key. When you pay down debt, every dollar less you pay in interest either increases your cash flow or accelerates your principle payments. It’s a win-win in either case, so when I see people say that paying debt is a low priority, I can never get on board with that. But, I suppose it’s a personal choice. I totally agree with that beagle – because i’ve been paying down debt and increasing my income, i’ve probably got the largest cash flow that i’ve ever had, and it is awesome. I’ve been spending it lately, but i’m going to move back into debt repayment soon. Great post, Jeff. I agree. We are in debt repayment mode, and it is a freeing experience. Because I grew up in a family that lived paycheck to paycheck, it took me a long time to appreciate the benefits of cash flow. Congrats on your debt repayment and income jump. Now that you are done travelling, you can hit the debt again. I saw you just kicked off your gazelle intense period – it does get easier, so just keep going! I never really knew the wonders of cash flow until recently either, but I’m glad that I kept at it and was able to find them out! Molly: Having cash flow has made my time more flexible. I use to be tied to when was the last possible date a bill had to be paid. Now I pay them when they come in or autopay and don’t have to worry about my bank balance- there’s always a pad. I know exactly what you’re saying molly – I used to wait until I got paid to pay all my bills, and now that I have the cash flow, they are all come out on autowithdraw, so I dont have to worry about making a late payment or missing one. I dont mind doing it this way because I know i’ve got the cash to back it up! Higher cash flow will definitely help, especially when you are already pinching your budget to pay off debt with what you have. I hope to push my cash flow to the point where I can pay off all of my debt within 2 years instead of 4. I’m actually looking forward to that same situation soon – when I pay off my car, it’ll give me 300 bucks extra a month. I’ll probably save it, but last night I was looking at land and found out I could get a 15 year loan for 50k and get 160 acres about 180 miles away from where I live – I could use it for that too. I could use the extra cash for anything, which is the best part. 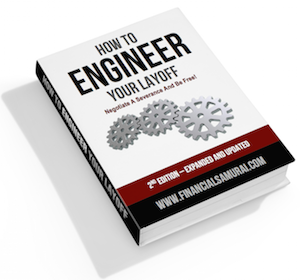 Cash flow is definitely key while you’r ein your job – it’s tough to live as a miser who just cashes checks (so… don’t). However you need to keep your cash flow in line because once you hit retirement it’s entirely possible you’ll be spending down your cash. 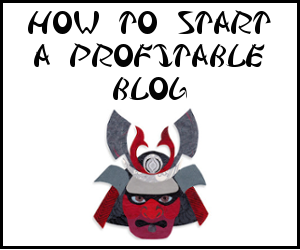 Hopefully your online income will increase to the point that you can write articles on the plane. Blogging – the truly mobile job! This is so close to exactly how I feel about that as well. When people ask me why I’m so debt averse and why I insist on paying stuff off whenever possible, I simply ask them if they can imagine what they could do with that much surplus each month. I can’t say that it gets through to each of them, but I know it starts the thought process, and sometimes that’s enough. I think starting the process is great. Before I started trying to get out of debt, I never even thought what my finances would be like without a monthly credit card or car payment. Of course, I’ll probably take a pass on the house, but those are expensive purchases – even then, I’d like to pay that down as quickly as possible. Cash flow is an amazing thing. Starting out on the right foot is the best way to go – less sacrifice later. Like you said, it gives you so many more possibilities! Live it up! Great point – the less you’re used to, the less you’ll miss anything when you have to take it away. Cash flow is even more important than getting out of debt. I’m willing to take on more debt if it increase my cash flow – a mortgage for a rental for example. great comment! i am totally with you with the debt / cash flow arbitrage. Great point Joe – Having a positive cash flow large enough is what will keep you out of the 9-5. Unfortunately, most people dont see it like this though. i know what you mean. I have a bachelor party to go to in the west coast (i’m from the east) in a couple months. Then my wife wants to go to hawaii for our one year anniverary in May. It’s gonna be a big chunk of money going out in the next 6-8 months. I’m trying my best to save up but wit the holidays coming up, it’s becoming really hard. Not sure what’s gonna happen in the near future. Yea, all the traveling is fun but I suggest start saving now and cutting out some of the things you may not miss as much, perhaps less dinners out. maybe you can make a game of it or keep track – say 1 dinner you ate at home is 1 dinner you can have in hawaii. cash flow is more important and meaningful to me than the net worth figure many lump their homes, cars and jewelry into. I think you’re right sunil – people may have a huge net worth because of a bunch of illiquid objects, but when emergencies come up, cash is king. Having no debt provides a higher cash flow! I keep a low profile lifestyle and search for bargains which stretches my money. We travel overseas every other year and I use frequent flier miles for tickets. Getting rid of my debt has greatly increased my cashflow KC and was the reason that i’ve been able to do so much over the past 12 months. I like to think of myself as a business, and free cash flow is the best barometer for a company’s true financial health. Increasing cash flow is huge for us to have cash free when we need it, or when we want it for a bachelor party or two. Exactly – having such a large amount of uncommitted cash allowed me to do whatever I wanted. Attend friends weddings, take multiple trips this summer, and I did it all without sacrificing future cashflow by adding debt. Excellent post… and don’t worry about where you are. Think of where you were or where you would be if it wasn’t for your efforts to date. I wish you well in your continued efforts! I do that often Dr. Sometimes I wonder what this summer would have looked like without all of the hard work last year. It would have been a lot of “no” or a lot of credit card debt, probably. I’m all about high cash flow. Get out of debt quick, so you can have more money each month! Agreed CI – I’m all about keeping more of my own money every month. People complain about taxes taking all their money, but not debt or credit cards. I wonder why. Building your cash flows requires sacrifices. It can be very difficult because there could be a decrease in your personal enjoyment from spending money. But once you have built decent amount of net cash flow, then you could start enjoyment again by traveling all over the place just like you did without worrying about debt. except for spending money, everything else requires a lot of work and discipline. That’s exactly what I did USM – I basically spent nothing for 18 months and was able to expand my cash flow from approximately 100 per month to over 1k per month now. Hopefully I’ll be able to grow this number more in the future. Cash is king! I started my debt repayment 15 months ago and have only used cash in that time while increasing my debt repayment by $200. I can’t wait until the day the debt repayment rolls into saving each month. I agree, it’s all about cash flow! You have options and flexibility when you have more cash flow! Higher cashflow definitely helps out. The main reason. You have to carry less of an emergency fund. By paing off my car I cut my emergency fund by 33%. We try to cash flow everything, but usually end up utilizing debt for major purchases. Most recently for a Suburban and a Jayco camper. We pay down our debts as quickly as possible while cash flowing everything else. Ideally, in the near future, we will be able to cash flow even major purchases! Wow, all excellent points. I think one must do it all simultaneously; get rid of debt, save for a rainy day, and save for the future. Titrate your wants and up your earnings! It’s not easy, but makes for a better life. Great post. We have been working on getting our cash flow more positive lately. It is coming slowly. We are debt free which is great but we are looking to balance things a bit better. We want to have a good plan in place because you never know what the future holds. This sounds so prudent. It’s not usually a quick process, especially in the beginning. Ultimately, it all pays off though. I remember when we were paying off debt years ago. It really seemed like it would take forever. We got through that, just like we will with the current wealth-building phase we’re in. I see it as a two-pronged approach. Increasing income and reducing expenses will increase your cashflow greatly and make it much easier to pay down your debt. In three months, we’ll be debt-free except for a small mortgage. Although I plan to save most of the excess cash in our budget, it’s nice knowing that I am really choosing how to spend it versus obligated. To motivate myself, I equate “cash flow” with “freedom” (which is fundamentally what it is.) The more cash flow you have, the more choices you have. I agree with many of the above commenters — creating cash flow requires a 2-pronged approach to earning more and saving more. Totally agree. Cash flow enables you to save and bulk buy. If you don’t have a cash flow buffer coming in each month, then you run the risk of having to buy essential big purchases on credit, which will cost you more in the long term and add to your debt. Personally, I do think cash flow will help out in life. It makes things easier and gives you choices. Ultimately, that’s what is most important: having the ability to decide your future rather than be obligated to pay payments or be trapped in a position that you don’t enjoy because it is your only means of provision. Do you mind if I post a link to this article on a blog I’m writing on debt? It should be fully complete by Friday night?